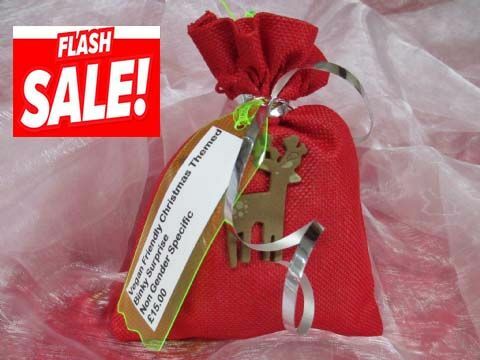 Why not surprise your little one this Christmas with one of our very Limited Edition (Only 5 of the Vegan Friendly versions made) Festive Binky bags. 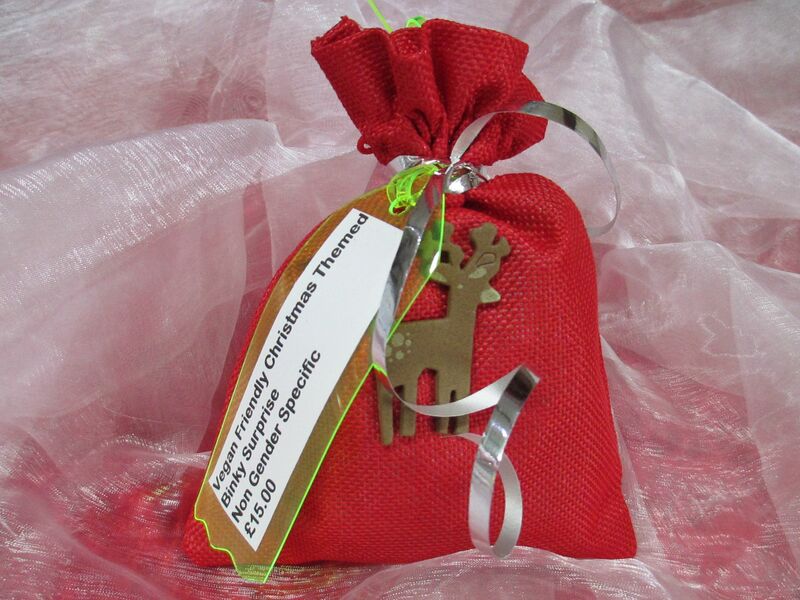 There are three items in each of the bags including two Christmas coloured and decorated Pacis that are non gender specific so they would be great for any excited little AB''s. 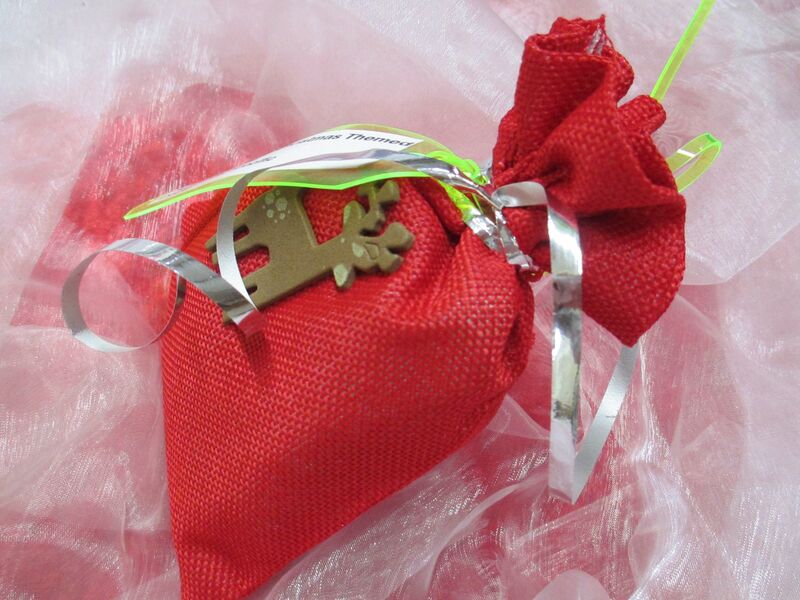 Contains Three items in Vegan friendly materials, clear bagged and wrapped then presented in one of our decorated cute little red drawstring burlap bags. 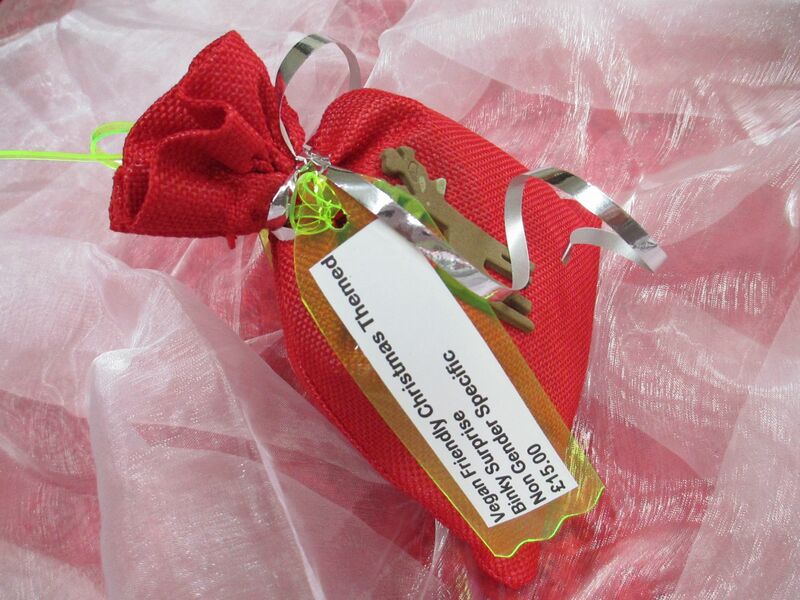 There are only a couple of these Limited Edition Bags available. 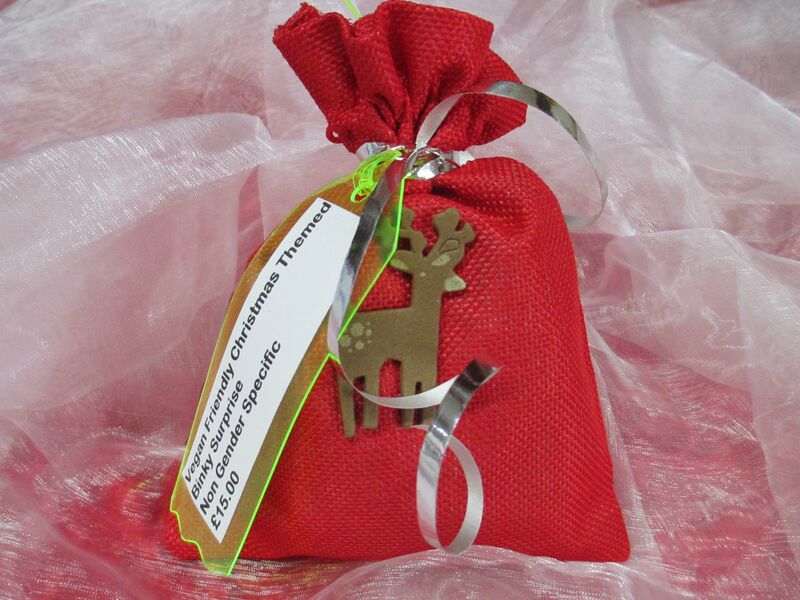 The AB/DL Christmas Binky Bags would make a great stocking filler or pre-Christmas gift for any Sissy's, little boys or girls who will be on Santa's nice list this year. PLEASE see our all our other PVC Vegan friendly products like our retro chest harness with walking strap, pacigags and more, or ask us about our discreet personal Bespoke Service. We are the only suppliers of a very comprehensive range of high end quality Leather and Vegan Friendly AB/DL, Sissy Items in the UK to Local and International Communities, and we are working closely with people within the communities to further develop, design and create many more usable items. We regularly attend AB/DL events in the UK so we often interact direct and chat with our friends, customers and Professional Carers who consult with us. We ship WORLDWIDE, and only use discreet unbranded shipping packages, labelled either leather goods or Toys without our Business name in the exterior. All our packages are Tracked and Signes via Royal Mail First Class, so you will need to sign for your package on delivery..